After you have a tooth extraction the area where the tooth once was will be exposed to the outside. This means that the nerves and bone that are usually shielded by the tooth are now exposed to anything that is in your mouth. This can lead to infection and pain from hitting the nerves. To curb this from happening your dentist will place a blood clot in the hole where the tooth once was. 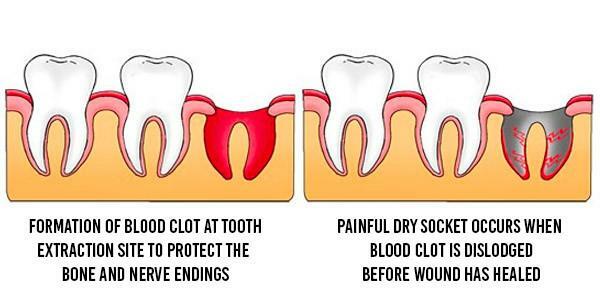 Normally, a clot naturally forms in the extraction site to promote healing, however, in rare cases (about 5% of all extractions) the clot comes dislodged and a “dry socket” is formed. 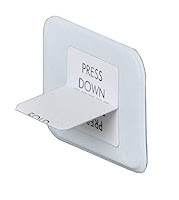 This will cause the patient discomfort as the nerves will be exposed. A dry socket is normally caused by something the patient did to dislodge it. Below you will find some suggestions to maximize the potential your clot will stay as well as an illustration of a dry socket. Hopefully, this will better equip you for post-surgery care. · Avoid using straws, the suction motion from your cheek muscles can dislodge the clot. · Avoid smoking as the quick inhalation can cause a dry socket. This is also true for non-tobacco products such as vape pens. · Only eat soft foods on the first day after the extraction and stay away from hard foods like nuts or sticky foods such as peanut butter. These can cause the clot to come loose prematurely. 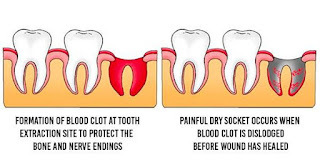 · Medications can react with the blood clot and break it down, talk with your dentist and see if any of your current medications could cause a problem. · Avoid vigorous exercise or workouts that significantly increase your blood pressure. · Finally, proper oral hygiene is important, however, be careful when brushing your teeth around the extraction site. Also, using mouthwash can dislodge it while you are swishing the wash around your mouth. Jackson Family Dentistry can answer all of your questions about dry sockets and how to prevent them. We want our patients to recover quickly and avoid any unnecessary complications as possible. If you are experiencing any discomfort at your extraction site please give us a call. We will be able to assist you and get you back to enjoying the foods and activities you love!